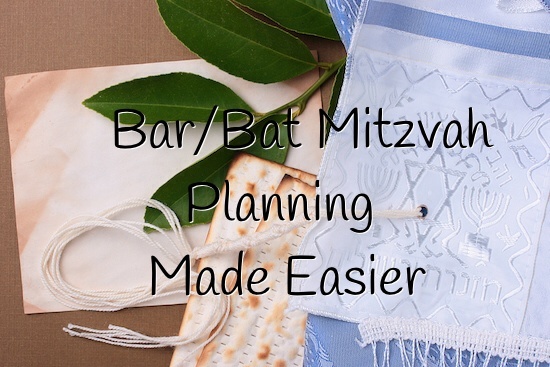 Does your child have a Bar Mitzvah or Bat Mitzvah coming up? At Eventastic, we do more than just corporate events! Eventastic is an online event software tool which can be used in organizing Bar/Bat Mitzvahs. With multiple feature options available at your fingertips like photo sharing, video technology and cash gifting, you’ll be able to easily share all your event details with guests. Eventastic provides a central place for guests to view all the event information. You can create your event page with details such as synagogue location, reception location, date, time and any other special details you wish to relay. Add photos and your day’s agenda so everyone is informed. You could also post the seating plan in the attached files feature so guests know what to expect and make changes if necessary. You’ll be able to easily keep track of guests by adding the ‘Registration’ feature to your event page and every person who clicks “Register” will automatically populate your guest list in your ‘Dashboard’, which you can view at any time! Many families hold events throughout the weekend, such as a Friday evening Shabbat dinner before the big day or a Sunday brunch. You will be able to keep all the festivities listed on your event page and even choose to make the various parties connected to the main event as ‘Connected Events’ with their own registration lists. The gift registry feature can include cash gifting even giving you an option of telling guests what the child is saving up for. This cash gifting/guest funding online option is a convenient way to give money especially for guests unable to attend . Have your professional photographer or anyone taking photos during the Bar Mitzvah or Bat Mitzvah upload their pictures during and after the party to the event page. Those who could not attend can still share in some of what they missed. Prior to the big day, your child could also upload images of his personalized kippot to generate excitement prior to the event! Your child can create personalized video invitations to send to guests. Creating a thank you video following the event to show appreciation is also a wonderful personal touch. Consider having your child post videos about their community service or Bat Mitzvah project idea. Family and friends will see what they’ve chosen to do and how it is coming along! It’s a great way to keep everyone connected to your child and their initiative! The comments section of your event page could be a useful tool for the planner if guests are invited to share what food they are bringing to any weekend potlucks and if guests are travelling for the celebration, they can discuss which hotels they will use. Let Eventastic make planning and relaying your party details for your Bar/Bat Mitzvah less stressful with this free online event tool. Click here to try it now! ← Taking Holiday Parties to New Heights!